April has come and gone, ya'll, which means an end to the "official" window for the first installment of the Social Justice Book Club. 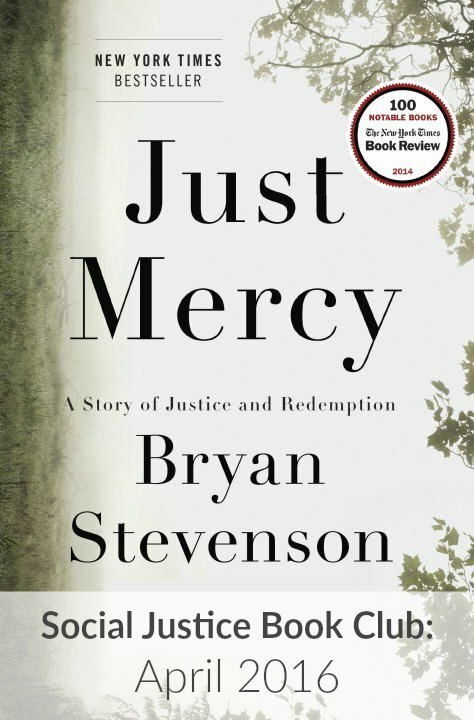 But don't worry if you haven't finished Just Mercy yet... I haven't either. 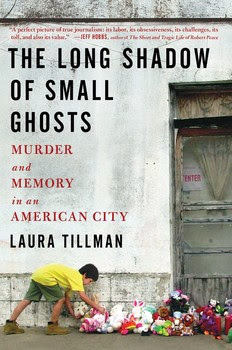 So my own personal wrap-up post will come later next week, but in the meantime, I wanted to get a link-up up for anyone who wanted to share their thoughts or comments or ideas about the book. I learned an interesting thing about myself when I transitioned from working in an office every day to working from home: I do not make breakfast. When my mornings were a rush to get out the door, looking reasonably like a functional adult human being, I assumed this was because of lack of time. Sleep an extra 10 minutes, or eat a healthy breakfast? I always chose the sleep. But now that I work from home, those 10 minutes aren't a black and white choice between sleep and eat. I could, theoretically, make myself a real, balanced meal in the morning and still get to my desk in plenty of time to dive into the workday. But I don't. I sit at the counter and drink coffee on an empty stomach, making myself sick and leaving me cranky and shaky by 10:30am. Anything to avoid actually cooking something before 9am. To the rescue: make-ahead breakfasts that require nothing more than finding a clean spoon. There are tons of "recipes" for overnight oats, but the premise is simple: one part oats, one part liquid, add flavorings to taste. I prefer Bob's Red Mill Muesli soaked in coconut milk*, topped with chia seeds and frozen fruit (which thaws in the overnight process). 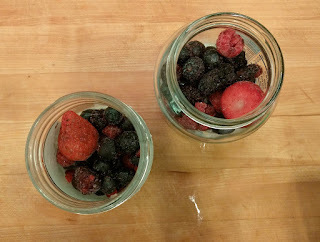 For a creamsicle-like version, half coconut milk & half orange juice is great (though the berries can overwhelm the creamsicle flavor if you're also adding fruit on top). *Coconut milk tends to keep me fuller longer than regular milk, and is easier on my stomach pre-workout than dairy. I buy the canned lite coconut milk (in my grocery store, it's with the Asian foodstuffs) as it's cheaper than the refrigerated box variety, lasts longer, and doesn't have stabilizers added into it. I've also done this with skim milk when I'm out of coconut milk and it works just fine. I make both of these in leftover jars (salsa, jelly, mustard, pickles), and eat them straight out of the jars they overnight in. They're also conveniently portable that way for mornings when I do have to put on pants and leave the house. What are your go-to breakfasts? Favorite make-ahead breakfasts? This is a thing that I know to be true, but really experiencing it--and letting myself believe it--has proved something else entirely. A recent run was a much-needed reminder that some days are, in fact, better than others. And that's not such a bad thing. 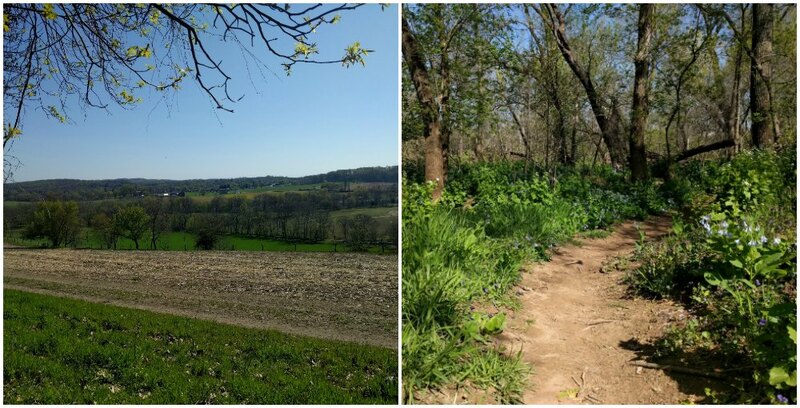 I set out for a long trail run on a gorgeous morning, planning for 11 miles. I'm training for a half in May, and this was one of my longest runs in my training plan, so it meant a lot not only physically, but mentally: if I can do this, I told myself, I can do the race. But less than a mile into my run, my legs felt like lead. My feet felt like bruises. My calves felt like fire. My quads felt like jello. I hadn't even hit the hills yet. 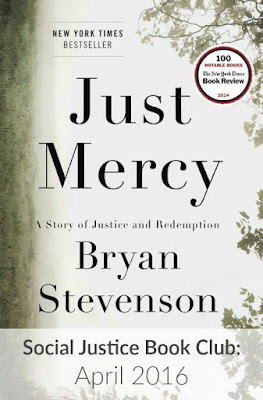 Of my own damn books, I'm devouring Just Mercy for the kick-off of what I hope will be a recurring Social Justice Book Club, and plan to tuck The Name of the Wind, by Patrick Rothfuss, into my bag for an upcoming flight (this last will be a re-read to prep for an upcoming book club discussion). 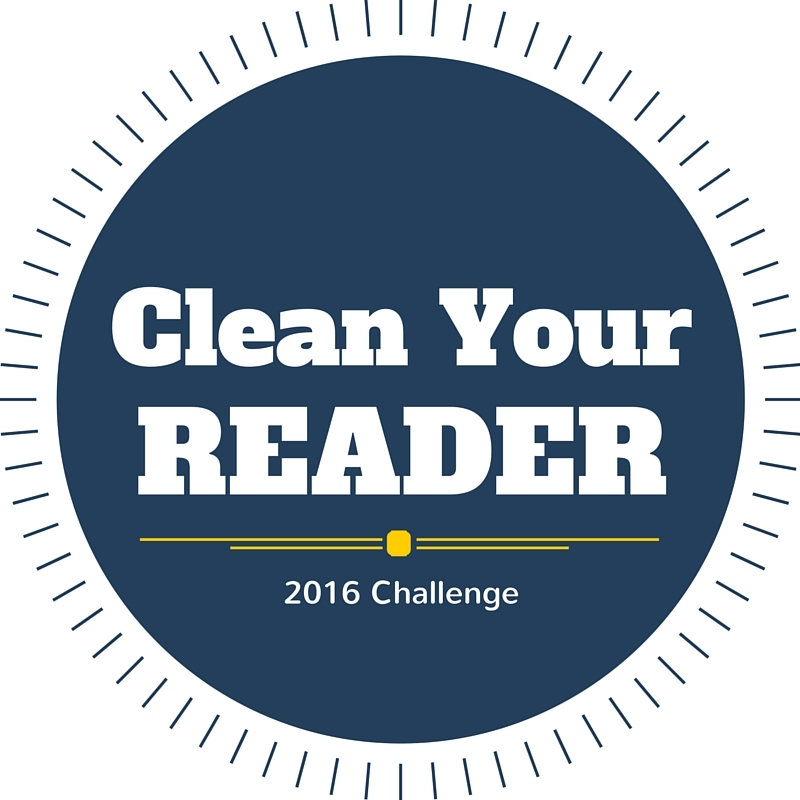 But first, an apology: I've been a terrible host of the CleanYourReader challenge. 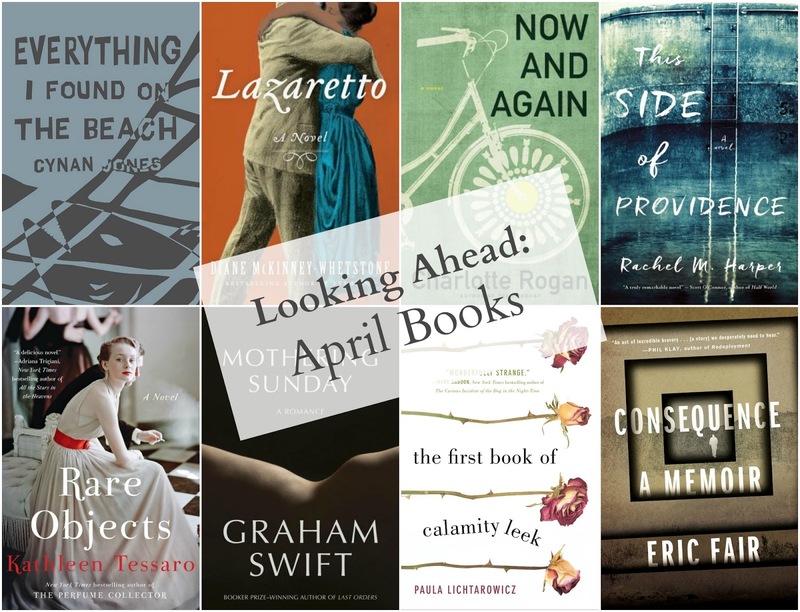 So much so that many of you probably don't even know it's been an ongoing thing that some readers (myself very much not included) have been participating in with all the diligence I'd hoped to inspire in myself. 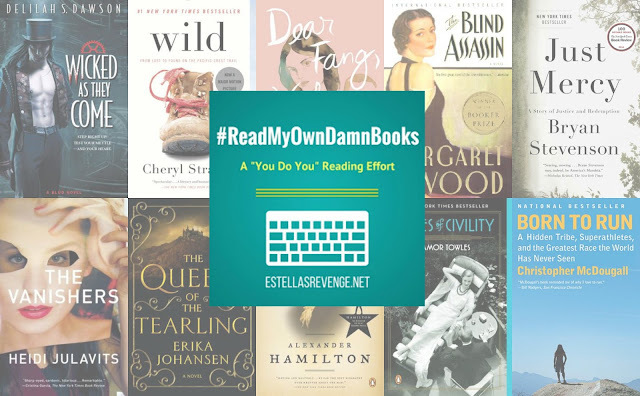 The goal for Clean Your Reader was simple: Over a three-month time period (January to March), make an effort to finally, finally read all the e-books collecting dust on our e-readers. Some participants did a great job. I, on the other hand, read one e-book. One! 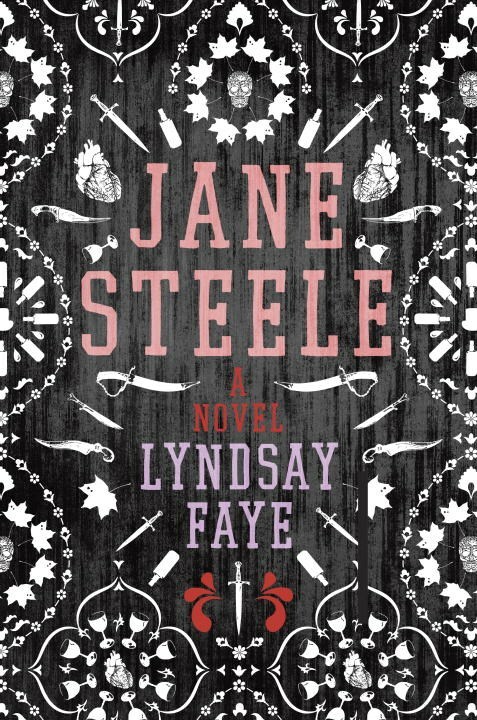 I've written before about how much I've loved Lyndsay Faye's historical fiction, so while I was sad to see the end to her Timothy Wilde trilogy, I was excited to hear of her newest venture -- the story of a serial killer inspired by Jane Eyre. 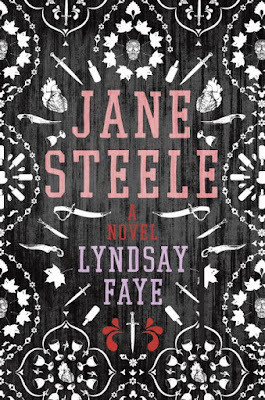 And Jane Steele did not disappoint.